Wondering How To Run The Same Ad To Multiple Facebook Ad Sets? Facebook has recently released a new update that makes it dead simple to run the exact same ad to different ad sets. This is a big deal because many of us have been jumping through hoops, using dark (unpublished) posts, to do this. And now it is dead simple. Just click a button and … Bam! 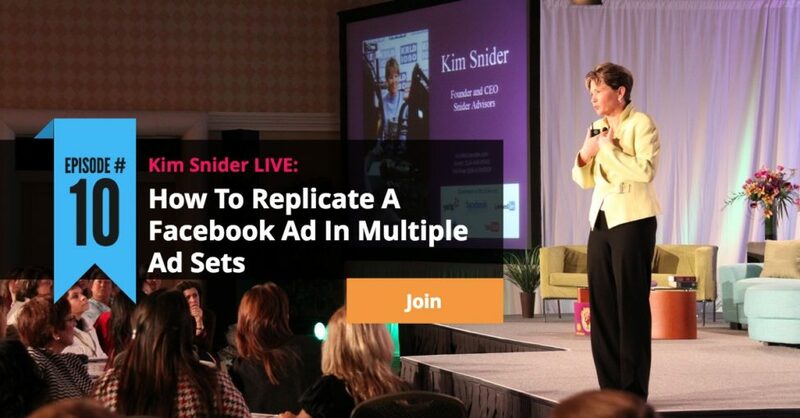 Maybe you are wondering why you wouldn’t just duplicate the ad in a different ad set? You could. But remember how Facebook is keeping score in the great Facebook Ad Game … Relevance Score. If you have an ad that is getting lots of likes, shares and comments … in other words highly relevant … you lose all those likes shares and comments when you duplicate the ad. But now, Facebook let’s you run the exact same ad, same post ID, to different ads, making scaling your winners soon much easier. And in this episode, I am going to show you exactly how its done. 0:41 – Explanation: Run the exact same ad to different ad sets, no hacks! 2:43 – How does Facebook calculate the relevance score? 5:52 – What used to happen when duplicating a post? 7:10 – New duplicating allows a new ad set to see the exact same ad. 8:06 – Go to www.sync2crm.com/ep10 to access this weeks cheat sheet. 8:25 – How to set up this new feature! 11:12 – How to make sure the feature worked. Hint: Preview it! 20:46 – Closing: Like, Comment and Share this! Thanks for watching. Looking For The Step-By-Step Guide? In this week’s Episode #10 Cheatsheet, I have rounded up all the notes, links and resources from the broadcast PLUS a complete step-by-step how-to for the new replicate ad in multiple ad set functionality, complete with screenshots.